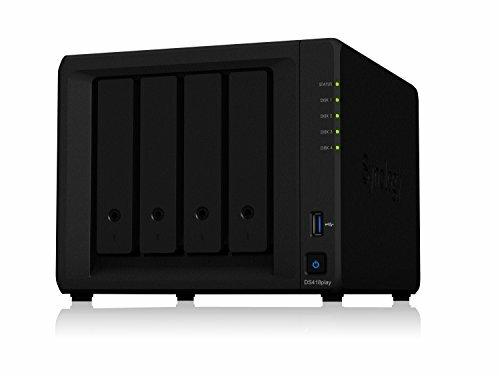 Synology Disk Station DS418play is a 4-bay NAS designed for ultra-high definition multimedia enthusiasts. Powered by a new Intel Celeron dual-core processor, DS418play supports real-time transcoding for up to 2 channels of H.265/H.264 4K videos at the same time. AES-NI support ensures smooth encrypted data transfer and safeguards critical digital assets. Synology DS418play is backed by Synology's 2-year limited warranty.